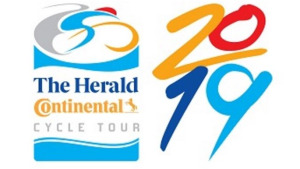 Tiso Blackstar’s Eastern Cape title, The Herald, will celebrate the 34th year of its sports event, The Herald Continental Cycle Tour, which takes place in Port Elizabeth on Sunday, 24 February 2019. As Port Elizabeth’s local daily newspaper, The Herald is responsible for the complete management of the annual cycle tour. The race, which is the second oldest cycling classic in South Africa, takes participants along a route through Port Elizabeth. Justin Peel, chief marketing officer at The Herald, says, "Managing and investing in the cycle tour is in line with our commitment to building community spirit and pride in our city. Over the years, the race has grown to attract a high quality, high profile field of professionals." Peel adds, "But, we’ve also extended it to create opportunities for amateur cyclists and novices – from juniors to mountain bike enthusiasts. It really has become part of the DNA of Port Elizabeth and its surrounds." According to The Herald, the Continental Cycle Tour is one of the few races in South Africa that still offers road closure on race days. More than 80 traffic officials, 105 marshals and teams of medics are on duty to ensure riders are safe and secure come race day. The road race starts and finishes at the Race village, positioned on the coast at Pollok Beach in Port Elizabeth. The day starts with the 106km Coastal Classic at 06:00, and the 55km Pursuit at 08:00. Race entries close at midnight on 27 January 2019. For more information, visit www.heraldcycletour.co.za. You can also follow The Herald Continental Cycle Tour on Facebook or on Twitter.